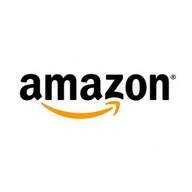 Amazon is a retailer that makes and sells entertainment and is currently one of the country’s most valuable companies. As physical formats such as books, CDs and DVDs are increasingly being replaced by downloads and streaming, Amazon’s focus is shifting more towards digital content. Amazon is banking on a future in which shopping and video are tightly linked. Amazon has already accomplished this goal with books. Amazon makes e-readers and tablets and then sells the content for them. Fire TV is currently priced at $99 and includes content from Amazon’s own studios, licensed content available through Amazon Prime, and content from established players like Hulu and Netflix. The device can also be used to play games with the purchase of a separate $40 controller. The games available include a version of the extremely popular Minecraft.